Can y'all believe that Thanksgiving is just a few weeks away? If you're like me, you've been hitting the gym extra hard to prepare for all the yummy meals we're about to have. And if your Thanksgiving is anything like my family's, there are bound to be lots of leftovers. 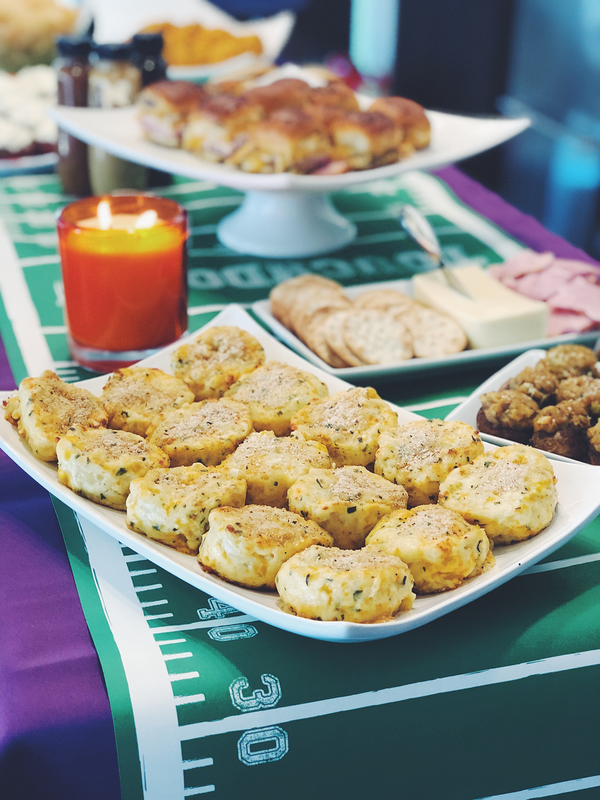 In Wednesday's post I shared how you can use those leftovers to create a game day tailgate spread a la The Honey Baked Ham. 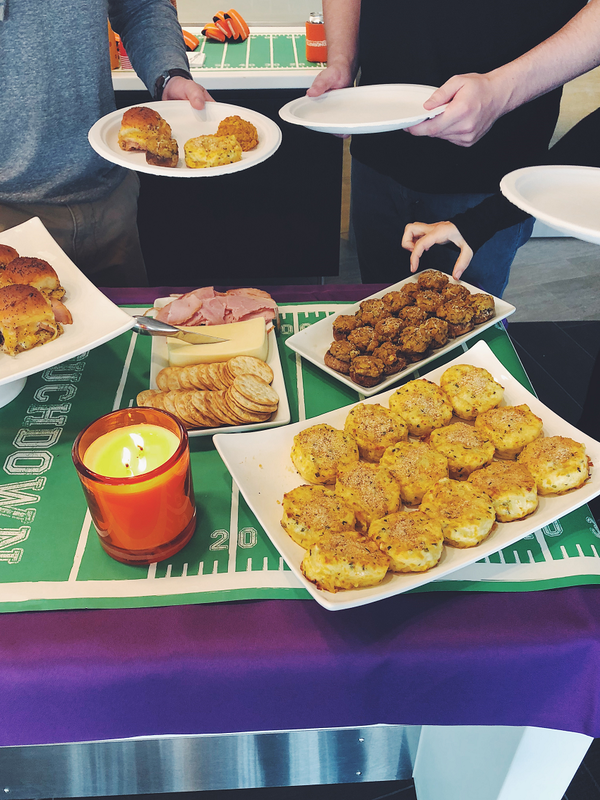 I shared how I setup my menu, which items from HoneyBaked I used, and how my boyfriend and I prepped our game day meal the night before. 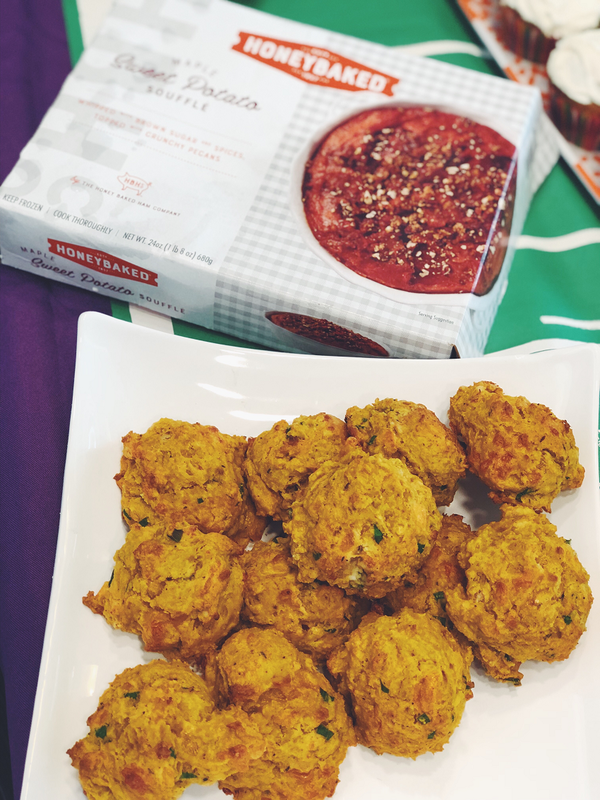 Now it's time to share all the delicious recipes I made with my HoneyBaked items. I tried to put together a menu that used the most popular Thanksgiving items; like sweet potato casserole, cinnamon apples, stuffing, ham and of course, turkey. Each of these appetizers were super easy to make and used minimal additional ingredients. Feel free to email me if you have any questions or drop me a message on Instagram. Hope y'all enjoy these recipes as much as my friends and I did. 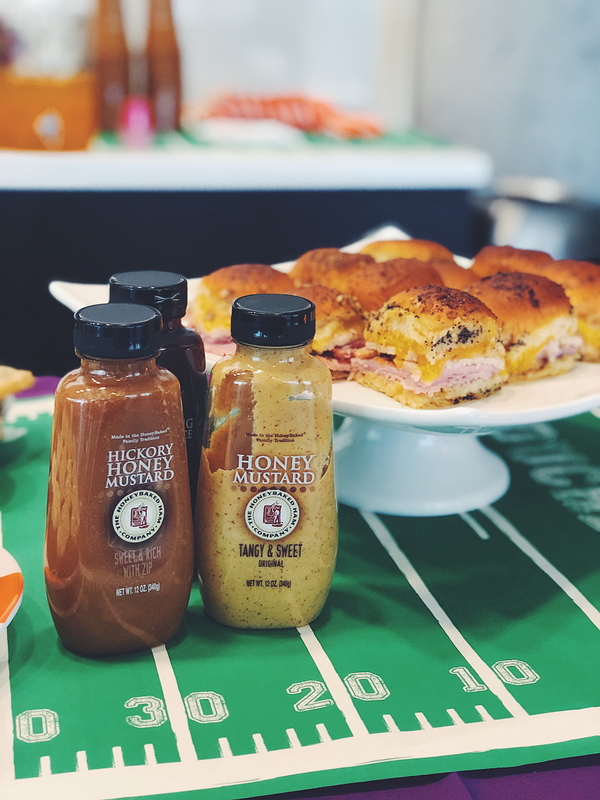 And another big thank you to The Honey Baked Ham Company for sponsoring our game day spread, and these posts! Happy (almost) Thanksgiving! I am sure a lot of you have had these before. They're a pretty popular leftovers recipe. I've seen quite a few variations of how to make them, but I always lean to my mother's tried and true recipe. Ingredients: 1/2 cup of melted butter (some recipes call for 3/4 cup - I tried to cut it down as much as I could, ha), 1 tbsp of HoneyBaked's Honey Mustard, 1tsp of Worcestershire Sauce, 1 tsp of brown sugar, 1 tbsp of poppy seeds, 2 tsps of dried minced onion, 12 Hawaiian rolls, leftover ham and turkey, Swiss cheese slices and cheddar cheese slices. Instructions: Preheat your oven to 350 degrees. Spray the bottom of a 9x13 baking dish with non-stick spray. You can also use a baking pan with foil on it so long as it has a good edge (you do not want the sauce to spill over while baking). Some people prefer a baking pan to prevent the bottom of the bun from soaking up all the butter and becoming soggy. In a small bowl, combine the butter, mustard, Worcestershire sauce, brown sugar, poppy seeds and minced dried onion. Take the entire package of rolls and slice them in half (you can do this all at once for ease). Remove tops and set to the side. Place the bottom pieces in baking dish or pan. Cover bottoms with desired amount of mustard. 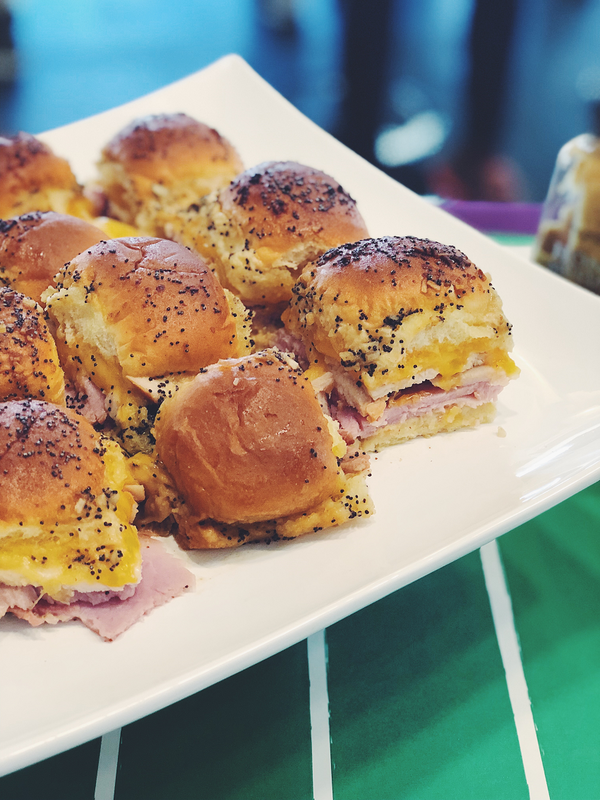 Layer ham, then turkey. Layer both Swiss and cheddar cheese slices. Place the bun tops back onto the sandwich. Brush or pour the liquid mixture over top of the sandwiches. I recommend brushing, as the buns tend to soak up the liquid if you just pour. Bake for 20 minutes until cheese is melted. Enjoy! Ingredients: 1 batch of prepared HoneyBaked Double Cheddar Macaroni & Cheese. I recommend making this the night before so it has time to get cold in the fridge. The colder it is, the better they'll stick together. Italian Breadcrumbs and chives to finish! Instructions: Preheat the oven to 425 degrees. Spray muffin tin with non-stick spray. Remove your cold mac & cheese from the fridge. Take a large ice cream scoop and scoop out mac & cheese from container. Optional: you can mix in finely chopped chives into the dish if you'd like, to add additional flavor and color. Place a scoop of mac & cheese in individual muffin cups. Sprinkle the tops with the Italian breadcrumbs. Bake till cheese has melted and center is warm. About 18-20 minutes. I also broiled mine for the last minute or so, so the top's browned a bit. Remove from tin and serve immediately. HoneyBaked also has pre-made Macaroni and Cheese Bakes that you can order on their website. These are really delicious and all you have to do is heat them up! These were by far my favorite thing we made! Incredibly easy, and the recipe makes a ton. 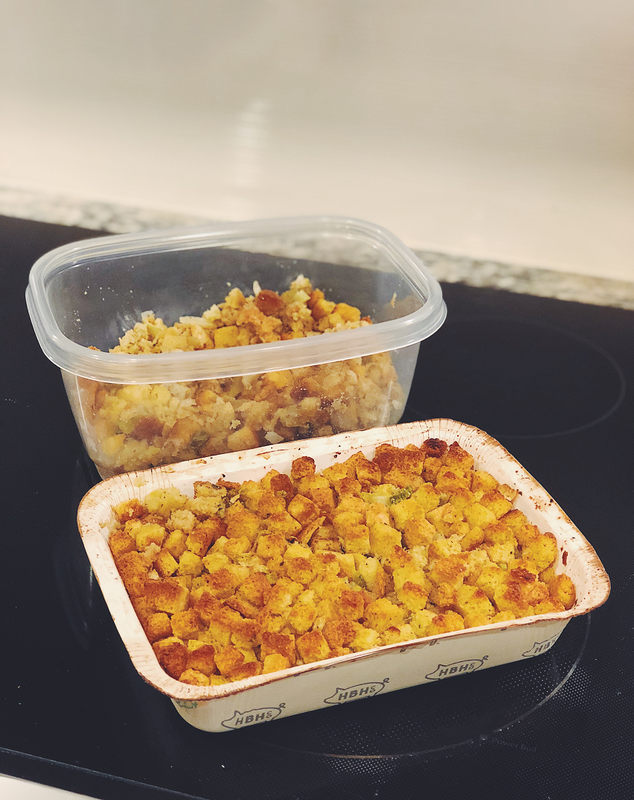 Ingredients: 2 packages of prepared HoneyBaked Country Cornbread Stuffing, 1/4 cup of grated Parmesan cheese (I recommend using a block of cheese and grating as you prepare your dish), 2 tbsp's of olive oil, 2 tbsp's of chopped parsley (fresh or dried is fine), and 1 tbsp of minced garlic. Instructions: In a large mixing bowl, mix 1 cup of leftover stuffing with 1/4 cup of freshly grated Parmesan cheese, 2 tablespoons of olive oil, 2 tablespoons of chopped parsley, and 1 tablespoon of minced garlic. Stuff into button mushroom caps that have been cleaned and hollowed out. Bake for 20-25 minutes at 375 degrees. Halfway through, take caps out of the oven and grate more fresh Parmesan cheese on top. Let cool for a few minutes before serving. Makes around 24 stuffed mushrooms. You can easily double this recipe to make a larger serving of mushrooms. 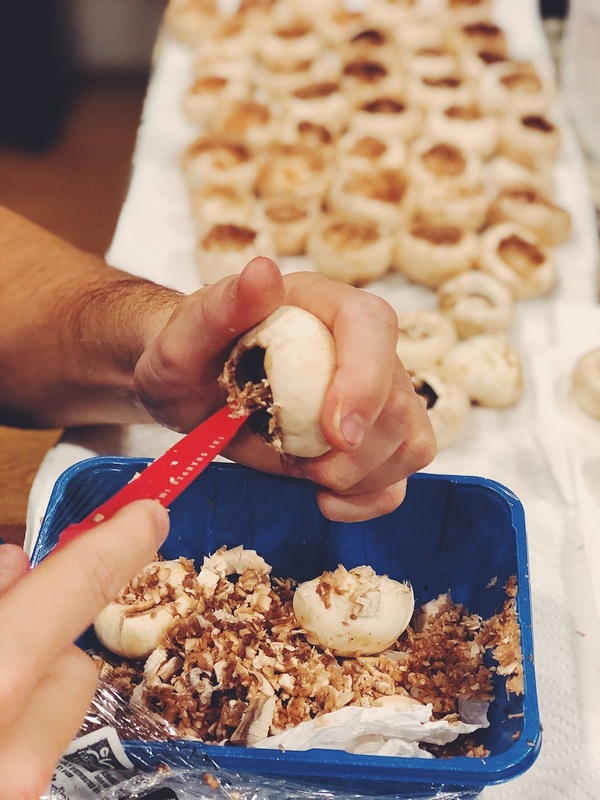 Tip: I recommend cleaning and hollowing out the mushrooms the night before you make these. Makes the process go a lot quicker! I will 100% be making these again for my family's Thanksgiving dinner. These biscuits were very easy to make. I was a little hesitant at first to make these. When I heard "biscuit," I immediately thought of how long it takes to make biscuits from scratch, cut them out, let them rise and bake. Y'all, you don't have to do any of that with this recipe. I also want to preface this was not my recipe. You can find the full ingredients list + instructions over on the She Wears Many Hats Blog. I of course used HoneyBaked's Maple Sweet Potato Souffle. 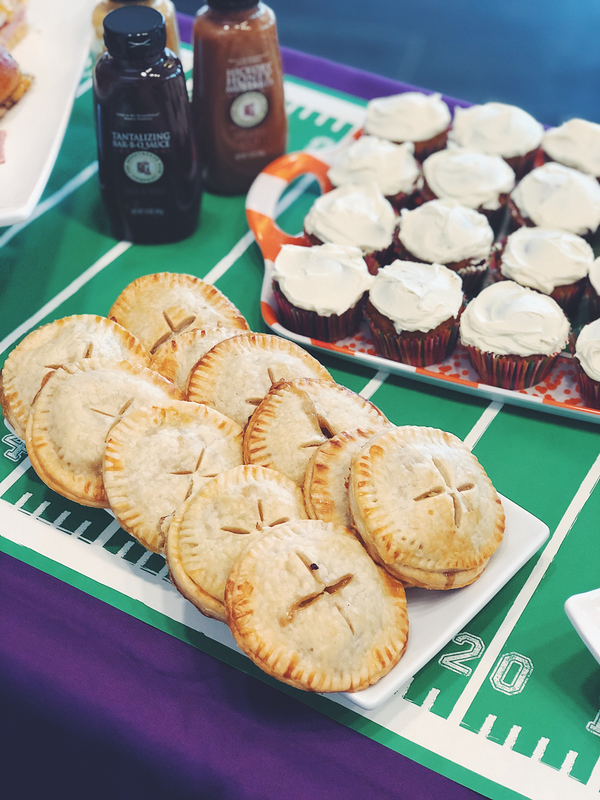 Last, but certainly not least... Mini Apple Hand Pies. Another recipe that sounds intimidating, but wasn't. Again, I did a lot of the prep the night before. And instead of making my dough from scratch, I just used pre-made pie crust from the store. Ingredients: 1 package of prepared (and chilled) HoneyBaked Cinnamon Apples, 2 boxes of pre-made pie crusts (usually 2 come in a box... or you need 4 pre-made pie crusts), 1 egg, and 2 tablespoons of water. Sugar to garnish. Instructions: take a large sized cup or medium size bowl and cut out desired number of circles from the dough. I actually used my Nutribullet mug to cut out the mini pie crusts, ha! It was the perfect size. Line a baking sheet with parchment paper. Place bottom crust on parchment paper. Add 1 tablespoon of diced up apples to center of the crust (I recommend dicing up the cooked apple slices into chunks. Helps ensure more filling for each pie!). Place a second crust on top and seal down the edges with the end of a fork. Helps create a nice edge to the pies, too. Then take a sharp knife and cut a few slits in the top of the pies. You need to make sure they're able to breathe when cooking. 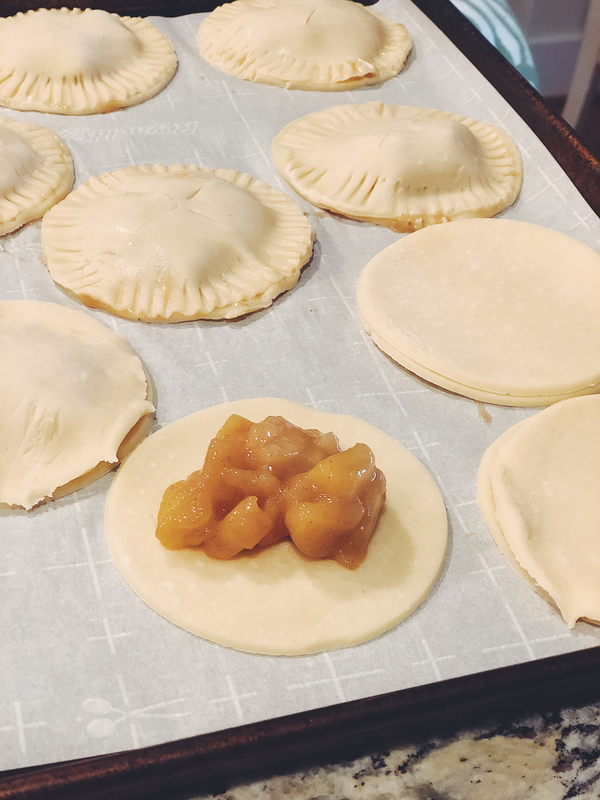 Refrigerate pies for about 30 minutes. It let's the dough harden a little bit and the edges stick together better. Preheat the oven to 400 degrees. Take the pies out of the fridge and brush tops with egg wash (1 egg with 2 tablespoons of water). Sprinkle with a little sugar on top, if desired. Place in oven and bake for 15-20 minutes or until golden brown. Let cool before serving. If you make too many, no worries! These reheat in the oven or microwave well. I may have enjoyed the leftovers for days, ha! This post is sponsored by The Honey Baked Ham Company. All photos and opinions are my own. For as long as I can remember my family has enjoyed a ham from The Honey Baked Ham Company almost every holiday. We're "that family" who eats ham for Thanksgiving, Christmas Eve and Easter. It's a Royster tradition. 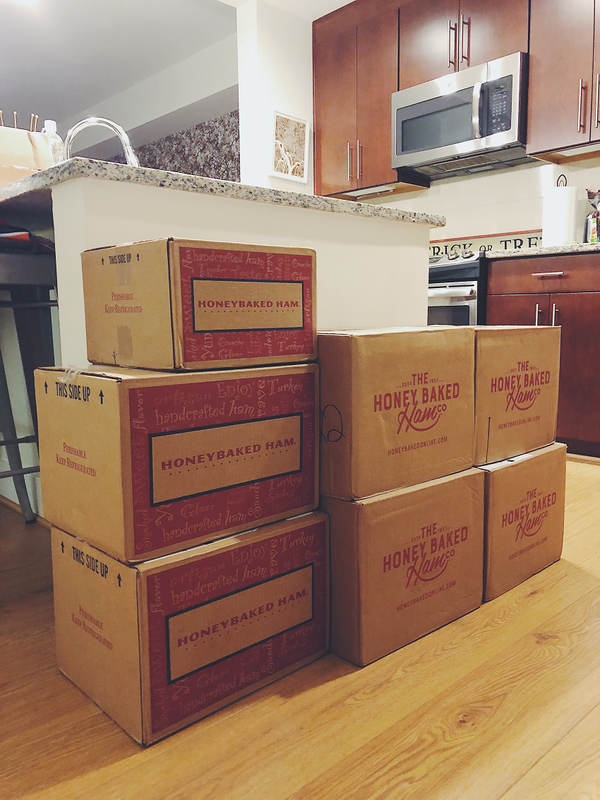 So last year when HoneyBaked reached out and asked if I'd host a Friendsgiving featuring products from their store, I couldn't say yes fast enough. I was even more excited when they reached back out this year and asked to partner with me again! I quickly started brainstorming post ideas, and I really wanted to do something different. I didn't want to simply showcase another Friendsgiving in my tiny 700 square foot apartment. I started thinking about the challenges of the holidays. Two things came to mind... 1. making hosting easier (more on that later in this post), and 2. what the heck do we do with all of those Thanksgiving leftovers?! Ding, ding! We had a post idea! Thankfully the ladies at HoneyBaked loved the idea too! 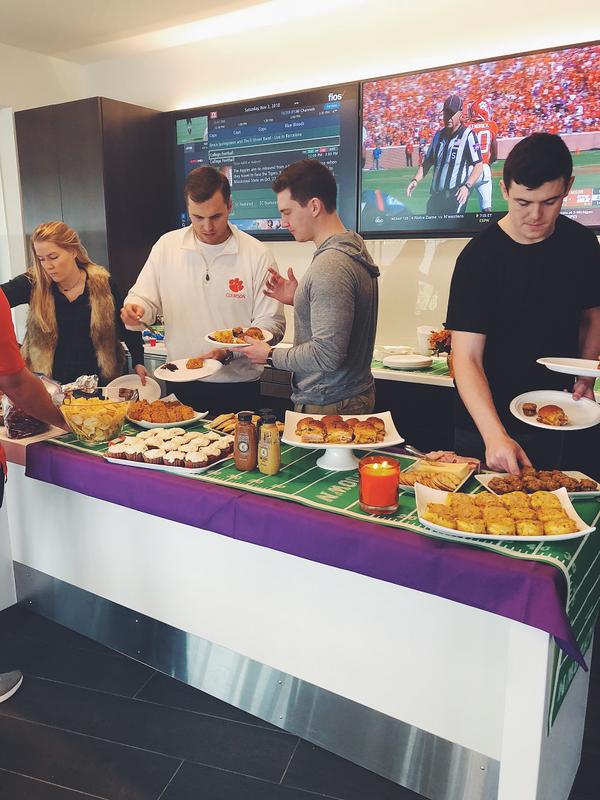 So this past weekend I hosted a few friends at my apartment building to watch the Clemson vs. Louisville football game. 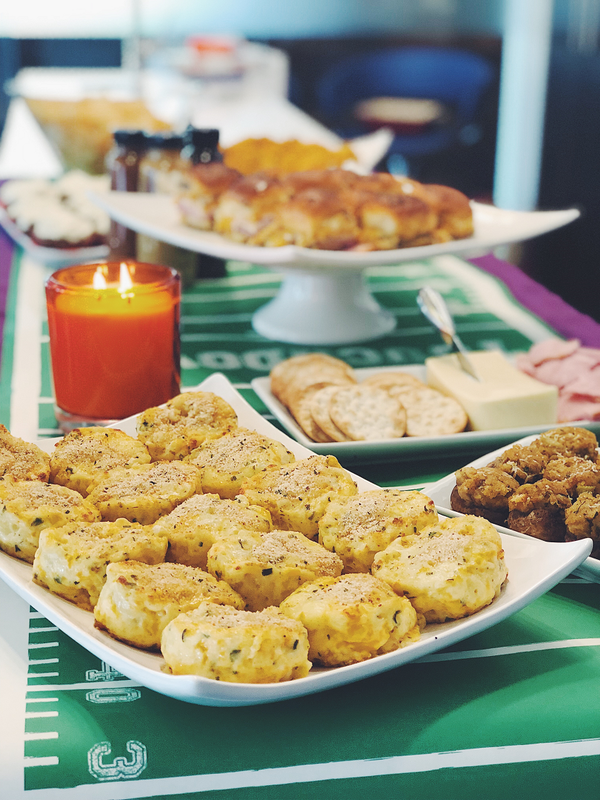 What goes better with a Thanksgiving meal than football?! The Saturday following the holiday, there's usually a big game. And let's be honest, you'll still have a lot of food leftover. So what do you do with it all? 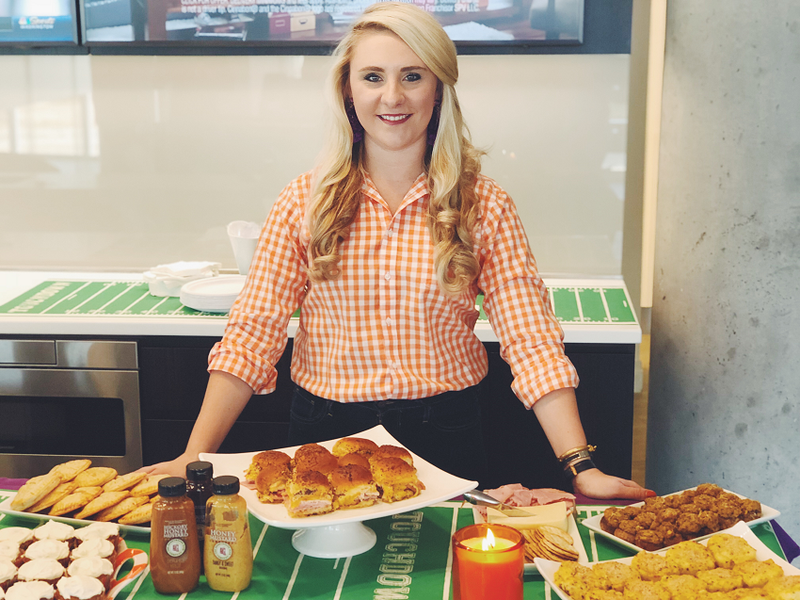 Whether you're heading to a tailgate for game day or simply watching from the comfort of your home, today's post is perfect for you! 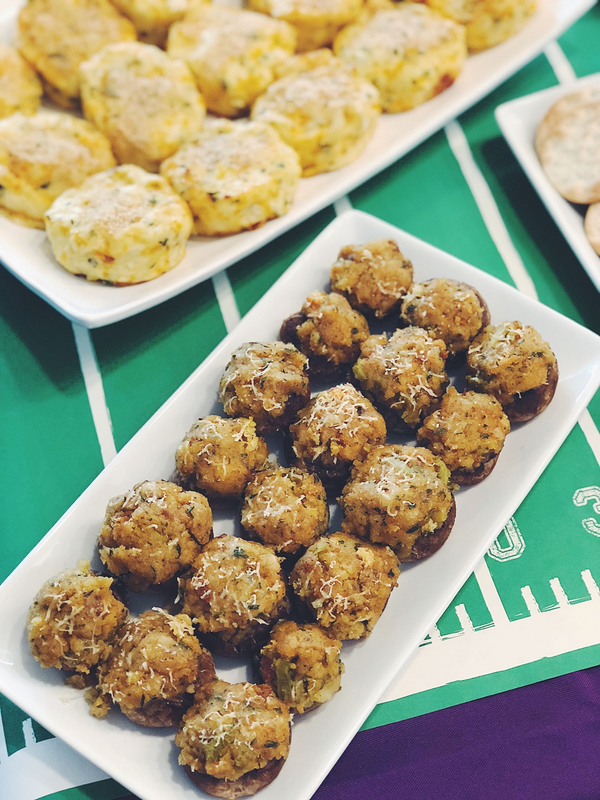 I'm going to show you how you can take those Thanksgiving leftovers and make the perfect game day appetizers. 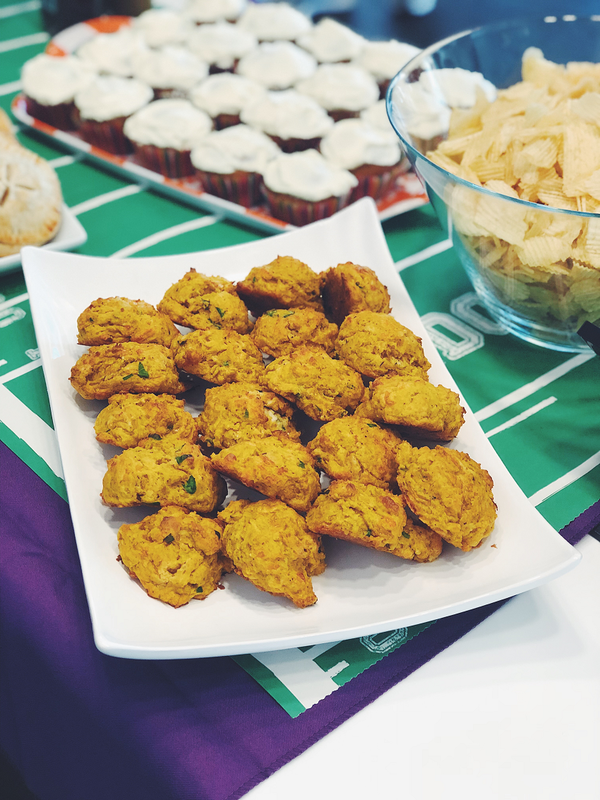 We're elevating the game day food, y'all! 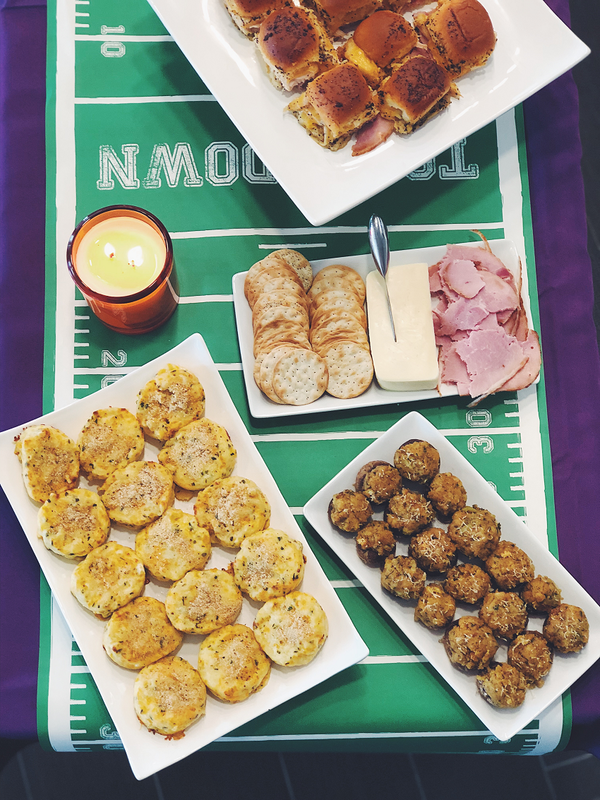 Scroll down for how I used items from The Honey Baked Ham Company to create a meal fit for any football loving fan! I rounded out the lineup with some fruit, chips, pumpkin cream cheese cupcakes and a Tiger Tonic punch. There are hundreds of The Honey Baked Ham Company locations across the country. You can find the nearest location to you, here. For my DC friends, there are several locations just outside the city in Falls Church and Fairfax. Last year I visited the Falls Church shop to pick out all of my food. This year, because of how crazy busy work has been, I decided to order my food online. Yes, they deliver! You can also place an order for pick-up if you'd rather stop in-store. 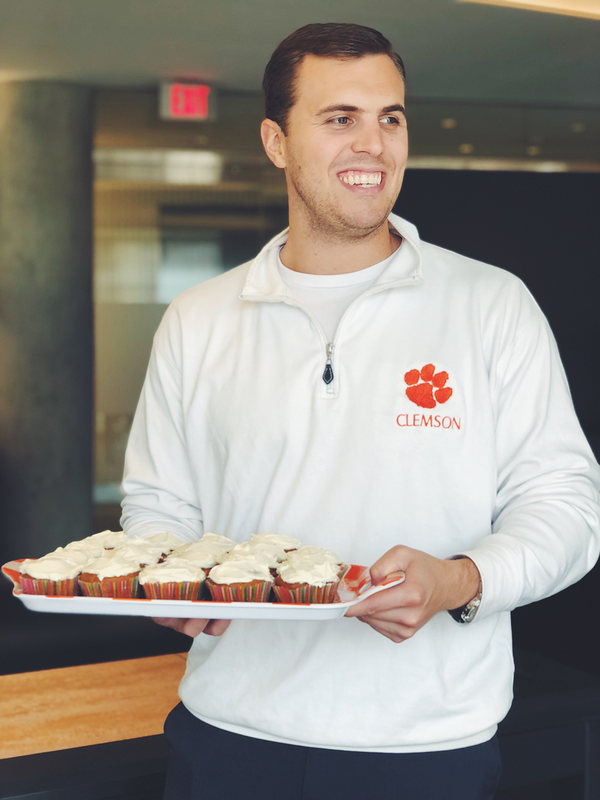 All of the items featured in today's [and Friday's] post can be found in-store, but some of their more popular appetizers and desserts can only be found online. Also, each store may vary in their selection so I recommend calling your local shop before finalizing your menu. I placed the order a few weeks ago, set the delivery date to last Thursday, and waited. They ship their food frozen and well packaged so that everything stays fresh. Make sure you account for thawing time, especially for the ham and turkey. i.e. don't set your delivery day for the same day as your event, lol. Honestly, it was super easy and took some of the stress out of shopping. Delivery is a great option if you live in a big city or work crazy hours during the holidays. I do highly recommend visiting their stores if you can, as you get wonderful customer service helping you pick out your ham. The lady I worked with last year let me see the actual ham before buying it. I walked away with a perfectly glazed one! and I picked up their own sauces to use with my sliders! 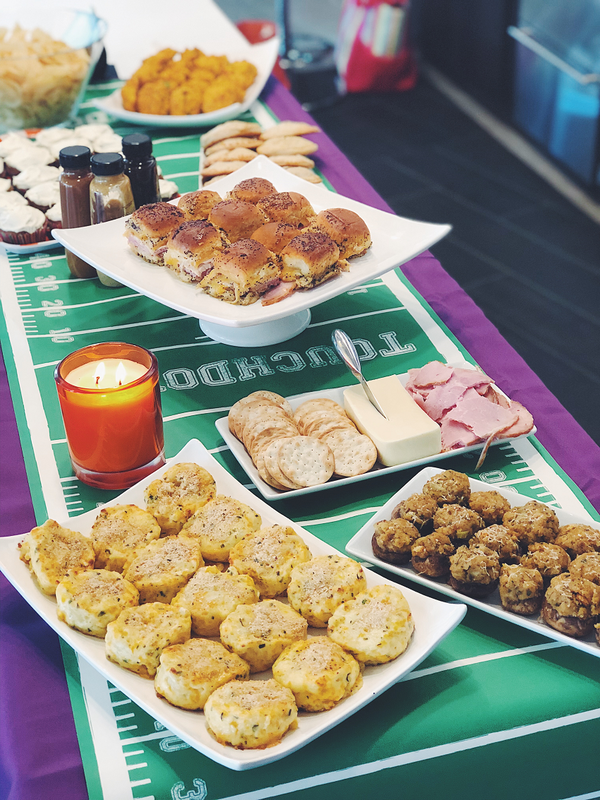 I formed the menu based around these items, using the ham and turkey for sliders, cinnamon apples for mini apple hand pies, mac and cheese for handheld cups, sweet potato casserole for some cheddar drop biscuits, and stuffing for the stuffed mushrooms. Note: they also make pre-made Macaroni & Cheese Bakes on their website. They are not available in-stores. However, if you are ordering online, I highly recommend these. They are really, really good! This entire menu easily fed 12 football fans! 6. and finally, cleaned out the mushrooms caps. All of this prep made the cooking go a lot smoother on Saturday morning. It also allowed me more time with our guests, rather than sitting in the kitchen all day. You can find further details and step-by-step instructions for how I cooked everything in this post. 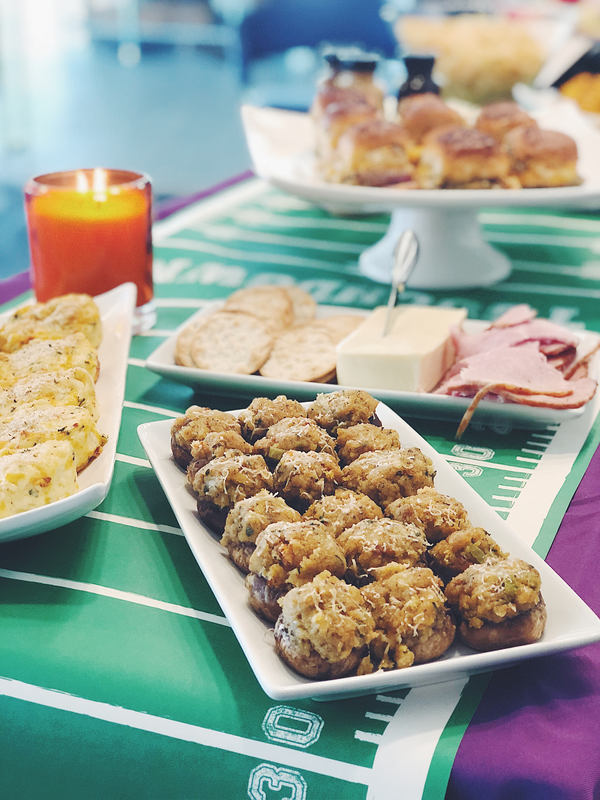 It was such a fun morning watching football and eating some delicious food. Everything I made was a hit with our guests, and was super easy to put together. No need to let the leftovers go bad after Thanksgiving, or spend a ton of money making new food for game day. Use what you have and let The Honey Baked Ham Company make your day even easier. Let's be honest... we need to save the stress for watching our boys play some football. Am I right?! This post is sponsored by The Honey Baked Ham Company. All photos, recipes and opinions are my own. First Blog Post of 2018!! I cannot believe this is my first blog post of 2018. The year is almost over for goodness' sake! Even so, I cannot let this year end without sharing a few posts on here, yeah? Toward the end of last year I alluded many times on here that finding the time to blog was dwindling. I was going through several new transitions: settling into a new apartment, new relationship and a new job. I was feeling burnt out from the 3+ years of blogging, and decided it was time to take a break. I really do want to thank the many of you who have reached out asking, "where are you?" This absence from Primp and Proper led me to realize just how much I love this space on the internet. The mental detox, both from this blog and social media, came at the right time. Over the past year I've really focused on and grown within my career, strengthened my relationship and friendships, taken the time needed to deal with a few health issues, and most importantly, grew as a person. I'm only a year and a half away from 30, so this year has offered a lot of self-awareness and learning opportunities. The biggest realization from my blogging break was that I was in the completely wrong vertical (focus area) with my content. I was trying so hard to focus on just fashion. Because that's what my friends did, what got me the most collaborations, and what you, as my followers, seemed to enjoy seeing the most. I think this is what ultimately led to my eventual burn out. I wasn't creating content that was me. I wasn't creating content that got me excited. Style doesn't define me. Yes, I love it! But it isn't what gets the creative juices flowing. Food is what drives my passion. If you know me (or follow me on Instagram), you know that I have a strong passion for food. Not just consuming it (lol), but educating myself about it. Corey and I watch a lot of food related shows; everything from Diners, Drive-Ins and Dives, to anything Andrew Zimmern. I enjoy learning where our food comes from, tasting how one ingredient can change the entire flavor of a dish, and capturing the visual appeal of a well-put-together dish. This is the creative side that I'm really passionate about. And it's a side you'll start seeing a lot more of on my social media (Instagram + Twitter), but eventually I'd love to share more on here. I'm not a chef. I'm not properly trained in how to dice an onion. But I am a foodie. A lover of how a dish is created from start to finish. And I hope to grow in my knowledge of food, as well as improve the photos I take of it. I hope you'll continue to follow along! As I mentioned, I hope to share a few more posts on here before year's end. You'll definitely be seeing a new entertaining post very soon. I'm partnering with The Honey Baked Ham Company again for another Friendsgiving/Thanksgiving entertaining post! And this year, it will have a little twist! I can't wait to share this with y'all on here next week. Hope everyone has a wonderful day and a Happy, Halloween! I'm sure many of you are shopped out at this point, or have taken advantage of the numerous sales over the weekend. But for those of you who haven't, here is a comprehensive guide for some of the web's best sales today. 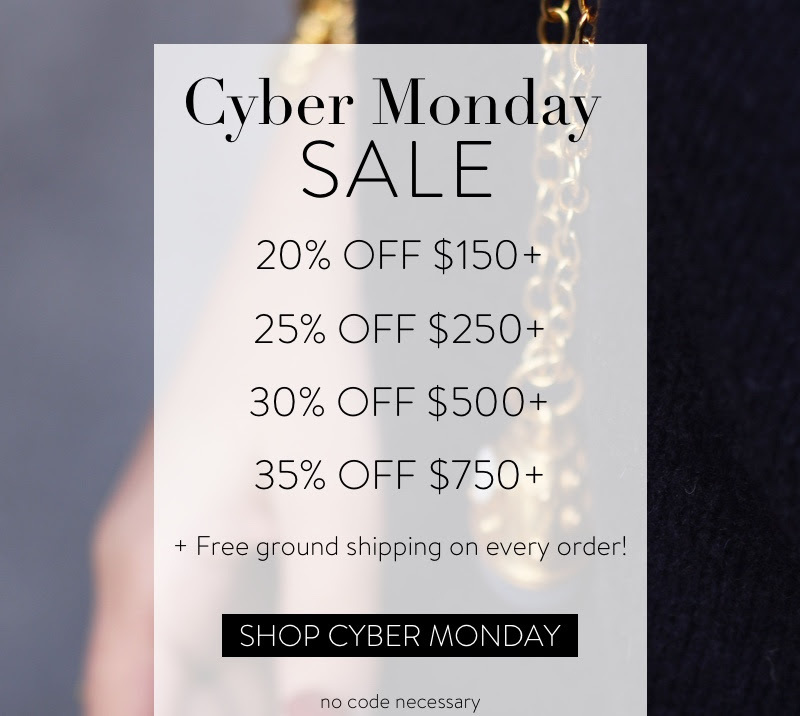 Click on any of the stores below, and you'll be automatically redirected to shop their Cyber Monday sale. Happy shopping! Adrianna Papell: 30% off sitewide! Amazon: Cyber Monday deals are here!! Anthropologie: 20% off full price items + FREE shipping on orders over $100. Discount reflected at checkout. Emily Ley: up to 40% off everything! Gigi New York: enjoy up to 35% off sitewide + FREE shipping, with their buy more, save more event! Julie Vos: buy more, save more! See details in graphic below. Sole Society: 30% off everything!! Target: save 15% online only! Up to 40% off home decor and furniture, 30% off women's boots, save $300 on a Canon camera bundle, and more! 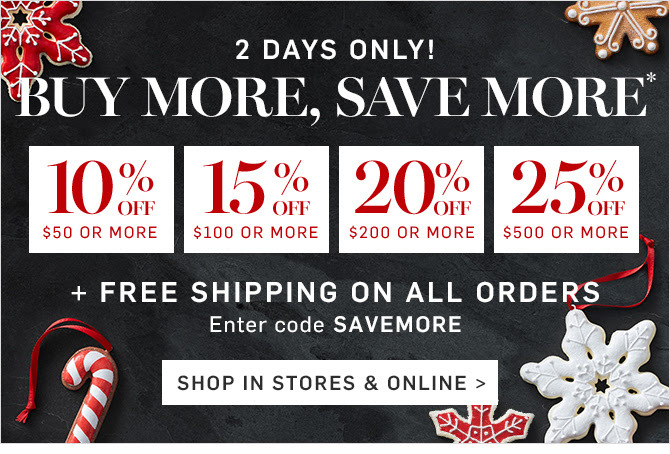 Williams Sonoma: It's their buy more, save more event!